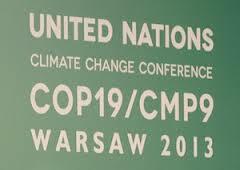 Ethical and Justice Issues At the Center of the Warsaw Climate Negotiations-Issue 3, Financing Adaptation in Vulnerable Counties, and Issue 4, Ethical Responsibilities for Loss and Damages. This is the fourth paper in a series which is looking at the ethical issues entailed by the negotiation agenda at COP-19 in Warsaw. The firs two papers looked at ethical issues entailed by the need for increasing ambition for national ghg emissions reduction commitments in the short-term and the second examined ethical issues created by urgent needs of nations to commit to significant ghg emissions reductions in the medium- to long-term. This paper concludes a series that has been examining ethical issues in play at Cop 19 before the conclusion of the Warsaw COP. Additional papers in the series will again look at these issues in light of what actually happens in Warsaw. In this paper we look at two issues together, namely ethical issues entailed by the need of many developing countries to find funding necessary to adapt to climate change and the related question of funds needed to compensate vulnerable countries and peoples for losses and damages that are not avoided by protective adaptation measures. These two issues are being examined in the same paper because ethical obligations for adaptation and compensation spring from the same ethical and legal considerations. We conclude in this paper that high-emitting nations have an ethical responsibility to fund adaptation needs in vulnerable nations and to provide funds for loss and damages in these nations despite difficult questions in determining precisely what the amount of these obligations are. The international community agreed in Copenhagen in 2009 to raise $100 billion annually by 2020 to fight climate change – in addition to the $30 billion they pledged to raise through 2012 in “fast-start” financing for the developing world. This funding has not yet materialized and it is not certain whether rich nations will be able to meet the 2020 goal. This paper looks at the ethical obligations of developed countries to provide this funding. The United States and other industrialized countries committed to such assistance through the United Nations Framework Convention on Climate Change (UNFCCC), the Copenhagen Accord (2009), and the Cancun Agreements (2010), wherein the higher-income countries pledged jointly up to $30 billion of “fast start” climate financing for lower-income countries for the period 2010-2012, and a goal of mobilizing jointly $100 billion annually by 2020. The Cancun Agreements also proposed that the pledged funds are to be new, additional to previous flows, adequate, predictable, and sustained, and are to come from a wide variety of sources, both public and private, bilateral and multilateral, including alternative sources of finance. The United States and European Union, citing budget constraints, have refused to put concrete figures on the table during COP-18 in Qatar last year. A Green Climate Fund agreed at the Durban conference to spearhead funding to combat climate change, still has no money. For this reason, funding for needed adaptation in vulnerable countries is high-priority agenda item in Warsaw. High-mitting developed countries have undeniable ethical obligations to fund reasonable adaptation measures in vulnerable developing countries both as a matter of sound ethical reasoning and international law. This obligation exists even though reasonable disagreement exists about the details of this funding. It is therefore ethically unacceptable for some nations to assert that because there is disagreement about the details of funding obligations for adaptation, they need not commit to funding adaptation needs. The developed countries are most responsible for the human-induced warming which the world is experiencing and is threatening hundreds of millions of people around the world because of the levels of both historical ghg emissions amounts and high per-capita ghg emissions that have been increasing ghg atmospheric concentrations. In addition, those most vulnerable to climate change damages are often the least responsible for greenhouse gas emissions. Therefore, those who could most benefit from adaptation measures are often least responsible for excessive greenhouse gas emissions. This is true both at the national and the local level. In addition, those most vulnerable to climate change are often least able to afford adaptation measures such as dikes, irrigation to compensate for droughts, moving away from flood or storm prone areas, installing HVAC systems and implementing improved public health systems. Vulnerability to climate change reflects its degree of exposure and its capacity to adapt. Exposure has two principal elements: the climatic conditions themselves, and the extent and character of the population, wealth, and development exposed to them. Capacity is a society’s ability to adapt to changing climatic conditions, whether by reducing harm, exploiting beneficial new opportunities, or both. This ability to adapt, whether to changing climate or other new circumstances, is in part a function of a society’s level of wealth, education, institutional strength, and access to technology. The nature and the extent of a society’s development, therefore, heavily influence both its degree of exposure to climate risks and its capacity to adapt. Because vulnerability to climate change is both a function of where harsh climate change impacts will be experienced and the financial ability of people to adapt, many poor developing countries are particularly vulnerable to climate change. 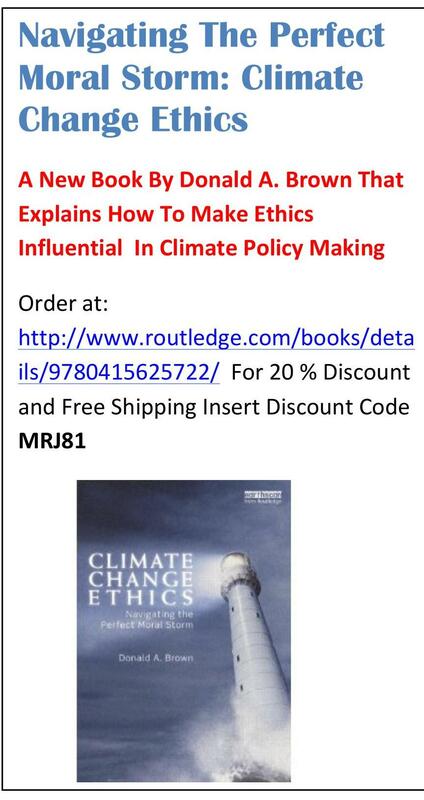 That those who are causing climate change have an ethical responsibility to protect those who could be seriously harmed by human-induced warming by funding responsible adaptation measures is a conclusion that follows from numerous ethical theories and several international law principles. Almost all the world’s religions, basic human rights theories, and numerous other ethical arguments hold that no person has a right to greatly harm someone else without their consent. In fact, the right to life and security is considered a core human rights principle that has been accepted by almost all nations in the world. All nations that are responsible for the violation of human rights have clear duties to restore conditions required to assure that the rights are enjoyed. 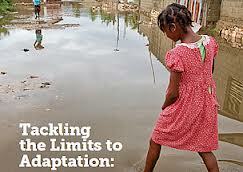 Some nations have denied responsibility for compensation and adaptation costs in climate change negotiations. Yet norms about responsibility for damages from human-induced climate change are well established not only by most ethical theories but also in a variety of international agreements, including the Rio Declaration on Environment and Development (UN, 1992b), United Nations Framework Convention on Climate Change (UN 1992a). • States have, in accordance with the Charter of the United Nations and the principles of international law, the sovereign right to exploit their own resources pursuant to their own environmental and developmental policies, and the responsibility to ensure that activities within their jurisdiction or control do not cause damage to the environment of other States or of areas beyond the limits of national jurisdiction (UN 1992b: Principle 2, emphasis added). • National authorities should endeavor to promote the internalization of environmental costs and the use of economic instruments, taking into account the approach that the polluter should, in principle, bear the cost of pollution, with due regard to the public interest and without distorting international trade and investment (UN 1992b, Principle 16, emphasis added). • States shall develop national law regarding liability and compensation for the victims of pollution and other environmental damage. States shall also cooperate in an expeditious and more determined manner to develop further international law regarding liability and compensation for adverse effects of environmental damage caused by activities within their ‘s point is he or hejurisdiction or control to areas beyond their jurisdiction (UN 1992b, Principle 13, emphasis added). • Recalling also that States have, in accordance with the Charter of the United Nations and the principles of international law, the sovereign right to exploit their own resources pursuant to their own environmental and developmental policies, and the responsibility to ensure that activities within their jurisdiction or control do not cause damage to the environment of other States or of areas beyond the limits of national jurisdiction (UN 1992a: Preface, emphasis added). • The Parties should protect the climate system for the benefit of present and future generations of humankind, on the basis of equity and in accordance with their common but differentiated responsibilities and respective capabilities. Accordingly, the developed country Parties should take the lead in combating climate change and the adverse effects thereof (UN 1992a: Art. 3, emphasis added). • The Parties should take precautionary measures to anticipate, prevent, or minimize the causes of climate change and mitigate its adverse effects. Where there are threats of serious or irreversible damage, lack of full scientific certainty should not be used as a reason for postponing such measures, taking into account that policies and measures to deal with climate change should be cost-effective so as to ensure global benefits at the lowest possible cost (UN 1992a: Art 3, emphasis added). These provisions of international law have been agreed to by all almost all nations and establish clear national responsibilities to not harm others beyond their jurisdiction, to pay for the damages to those beyond their borders who are harmed by domestic ghg emissions, and to not use scientific uncertainty as an excuse for failing to take protective action. Yet many nations have caused, and continue to cause climate change damages while they have refused to limit their emissions to their fair share of safe global ghg emissions, compensate those who have been harmed, or provide adequate, predictable funding for adaptation. Yet, the above international law provisions make it clear that nations have obligations to others to prevent climate change damage. Consequently, their failure to take action to reduce the threat of climate change makes them responsible for climate change harms and therefore responsible for funding reasonable adaptation measures of developed nations needed to prevent harm. Innocent people around the world will suffer harms that should be compensated by those who are responsible for climate change because: (a) there is insufficient money to support all the adaptation that is needed, (b) some harms have already occurred, (c) time does not allow for the adoption of adaptation measures necessary to protect some vulnerable people from harm, (d) it is impossible to predict where some harms will occur, or (e) the technology to protect against some of the harms is not now available. For instance, although biological sciences have produced some drought resistant crops, for other crops no drought resistant strains have yet been developed. From this, the following conclusions can be made. Some climate change harms are unavoidable, others harms can be prevented or minimized through adaptation, and some harms have already happened. Yet, those experiencing these harms are rarely those who are most responsible for them. For this reason, developed nations have responsibility to compensate vulnerable nations and people for the harms from human-induced climate change. IV. Difficulties In Determining Precise Amounts of Funding Amounts for Adaptation And Compensation Obligations of Individual Nations. These issues include: (a) the need to determine when the obligation of any nation is triggered, (b) difficulties in determining which adaptation and compensation needs are attributable to human-induced warming versus natural variability, (c) challenges in allocating responsibilities among all nations that have emitted ghg above their fair share of safe global emissions, (e) challenges in prioritizing limited funds among all adaptation and compensation needs, (f) needs to set funding priorities in consultation with those who are vulnerable to climate change impacts as a matter of procedural justice, and (e) the need to consider the capacity of some nations to fund adaptation and compensation needs. V. The Obligations of Nations To Fund Adaptation Needs and Compensate for Loss and Damages Despite Challenges in Determining Precise National Obligations. As we have seen there are many challenges in determining precise obligations of nations for adaptation and compensation. 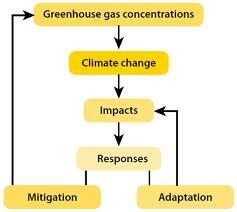 However, these difficulties do not justify nations from ignoring their obligations for adaptation and compensation. The fact that there are challenges in working through what precisely are any nation’s obligations is not justification for failing to fund adaptation nor compensate for losses and damages. To overcome some of the challenges in determining precise obligations, international institutional responses such as funding needs through common forms of taxation, dedication of trading revenues for use for adaptation and compensation, and other institutional responses of high-emitting countries are worthy of serious consideration. United Nations (UN) (1992a) ‘United Nations framework convention on climate change’, UN Document, A: AC237/18. United Nations (UN) (1992b) ‘The Rio Declaration on Environment and Development’, UN Document A/CONF.151/26.